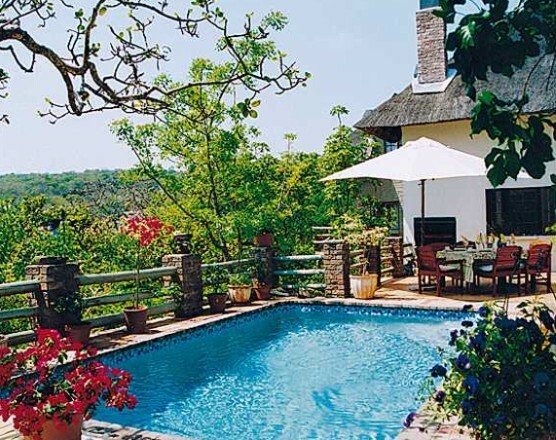 Utopia in Africa Guest Villa has been designed to ensure peace, comfort and privacy for its guests. 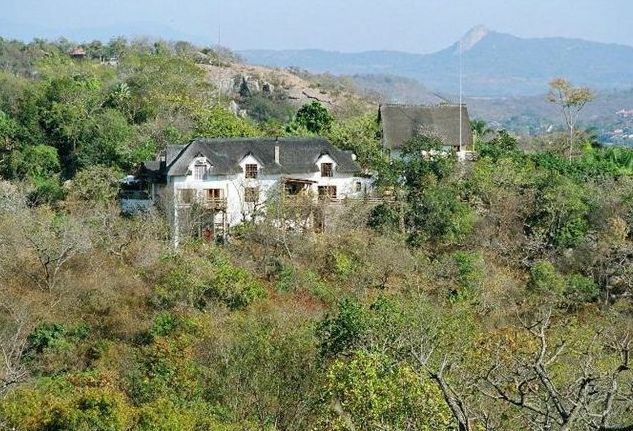 Set high above the city of Nelspruit, it benefits from a refreshing climate and is nestled into the edge of a nature reserve, overlooking the canopy of its forest. The architect who has designed the thatched villa, which is managed by his wife Patricia, created the concept to embrace both light and space, culminating in a sense of integration with the surrounding wildlife with open views yet private areas to retreat to. 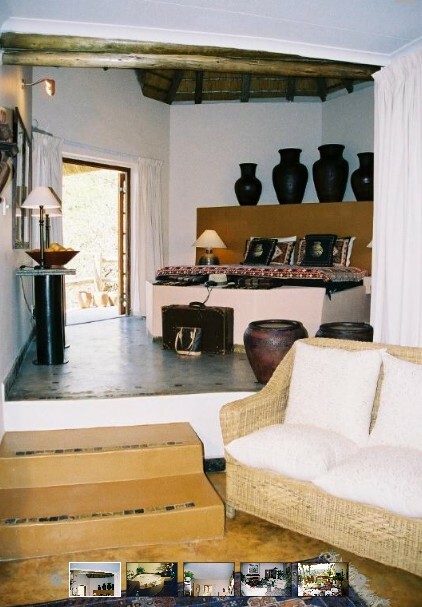 Guests your own villa and are invited to lounge in one of the many indoor or outdoor areas. Utopia’s proximity to both the city centre and the airport make it a convenient retreat for both the business traveller and the explorer. Commonly found in the area. 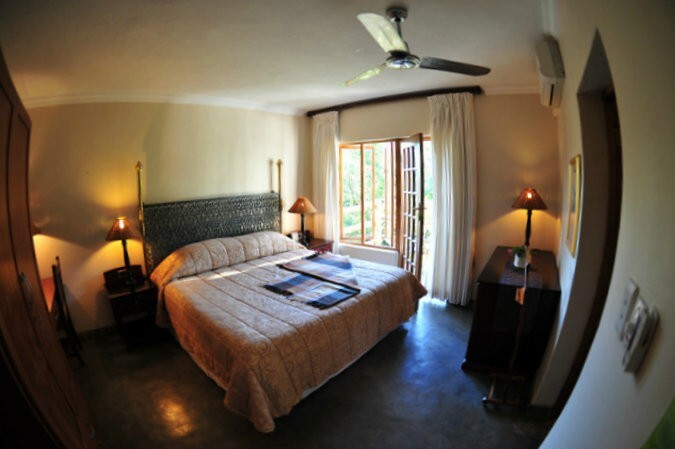 The Sunbird and Owl rooms face east, offering views of the sun rising over the hills and nature reserve. 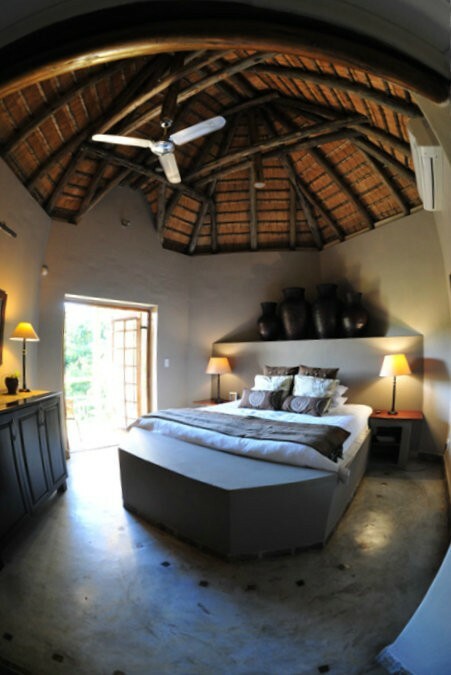 The Loerie, Kingfisher and Guinea fowl rooms face south, which ensures they remain cool even at the height of summer. 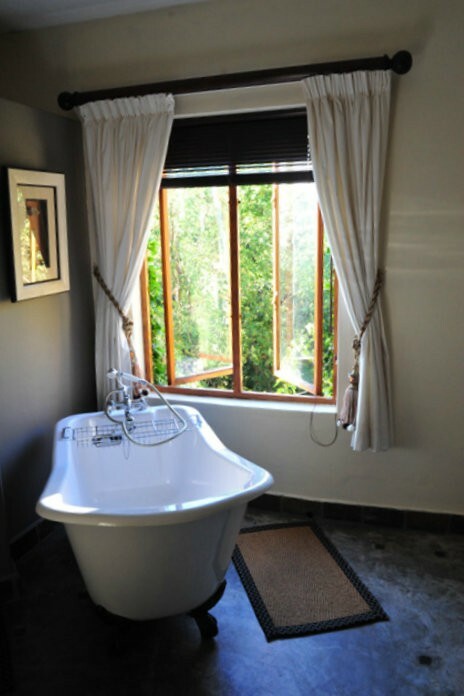 Our latest room is the Barbet room with views of the nature reserve as well as the city. 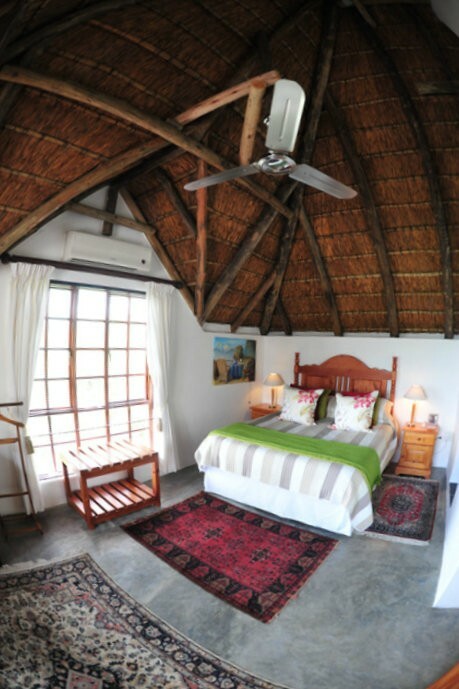 The Owl, Kingfisher, Barbet and Guinea fowl rooms are under a high thatched roof, which creates a unique ambience. 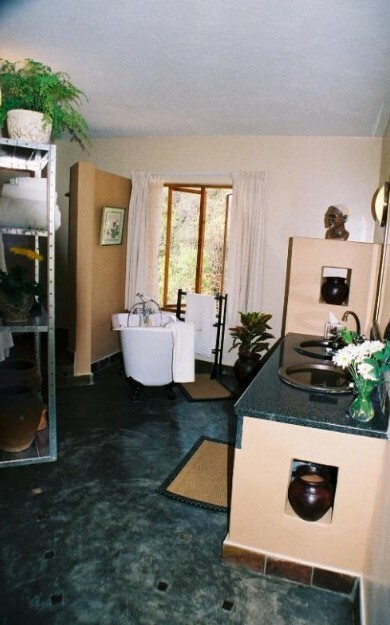 Single guests are welcome, or if you wish to rent the whole lodge this can also be arranged. Breakfast is served from 07:00 until 09:30 each morning. You can help yourself to a selection of fresh fruit, yoghurts, cereal, jams and cheese and a bakery selection. In addition we will also serve a cooked breakfast. Should you require a light breakfast outside of these hours this can be arranged in advance. Breakfast is served in the dining room or in one of the many seating areas outside overlooking the garden and the green forest beyond. 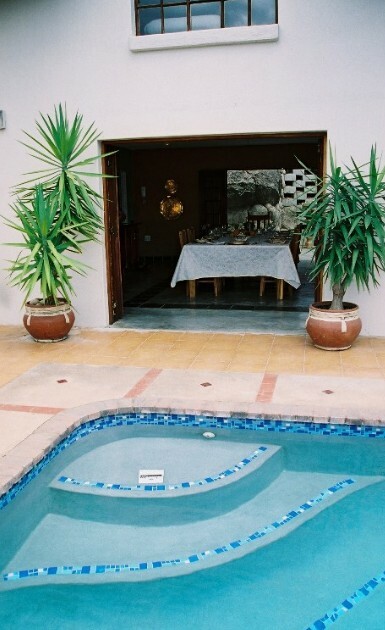 There are a wide variety of restaurants nearby which we would be happy to recommend; you can even order take away to be delivered to the villa if you prefer. 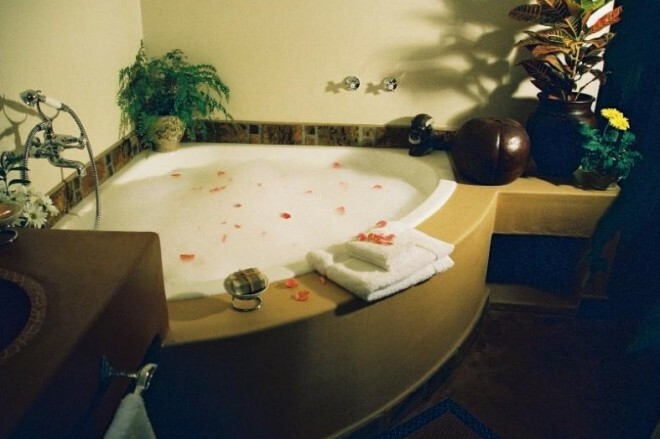 Alternatively, we can serve you a light supper at the lodge but this must be arranged in advance. We have a fully licensed honesty bar. Tea and coffee is available throughout the day from a central area. 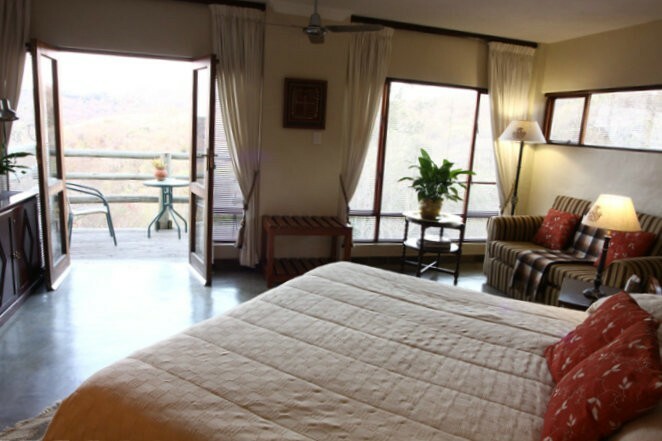 Description: All rooms with balcony over looking Nature reserve. 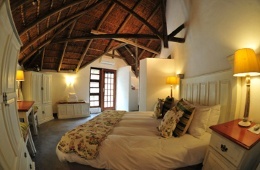 All rooms located within the lodge. 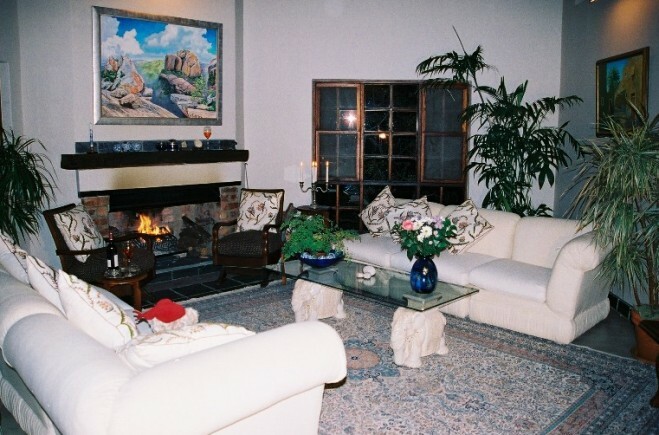 "I like the place it's clean, friendly staff, the owner she was like our mother she wanted to make sure we are happy & I will recommend the place to my friends." 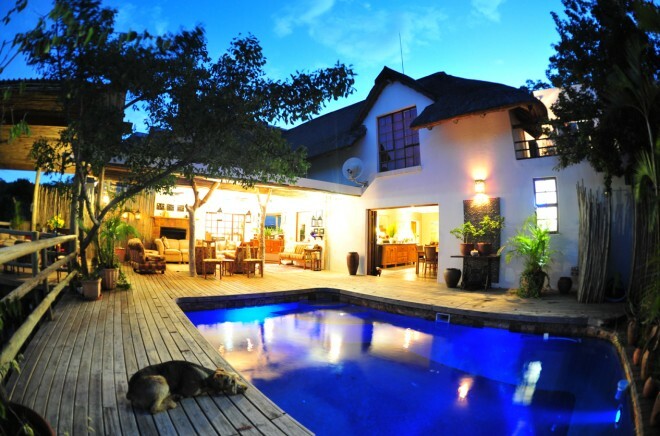 "Utopia in Africa Guest Villa"
"Thank you for a pleasant stay. 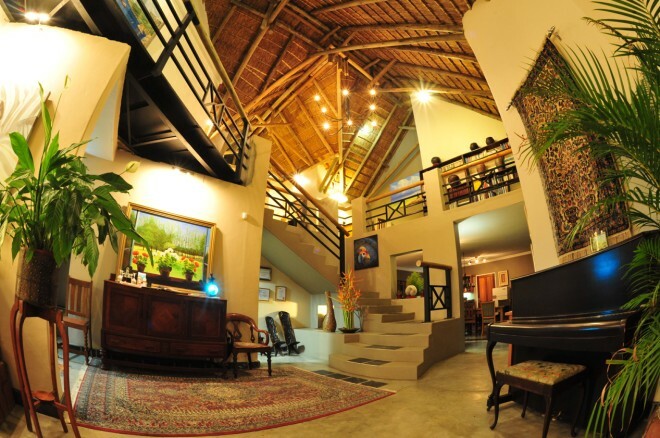 We will visit again and recommend to others." 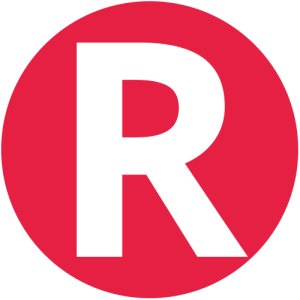 Children age 8 and over are charged as adults. 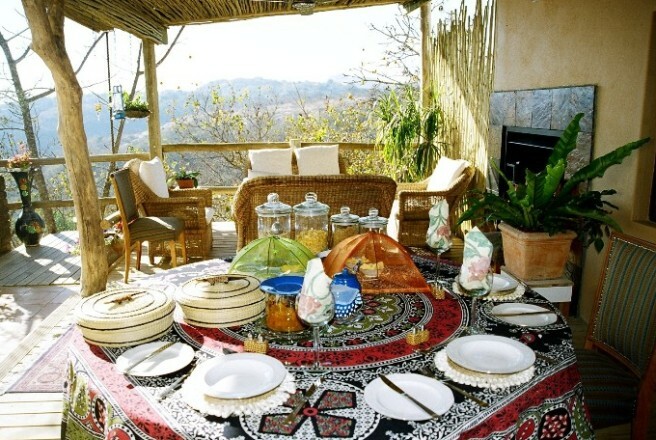 Contact Utopia in Africa Guest Villa directly. Send them an email.